Did you know that knit jumpers save penguins lives? Over on my other blog, the Etsy Germany Streetteam Blog, I recently published an article about a cause dear to my heart initiated by distinguished textile artist and book author Silke Bosbach. The handknitted jumpers prevent the penguins from cleaning and thereby poisoning themselves (in case of an oil disaster). 97% of the four hundred penguins affected were saved in this way when another oil accident contaminated the waters near Phillip Island (Australia). My moodboard today honours these sweet and social birds. Enjoy! Thanks for stopping by today ~ have a great week! Schön, dass Ihr vorbeigeschaut habt ~ guten Start in die Woche! And that's such a great idea about the jumpers! Hi Duni! Can I claim virtual ownership of your moodboard? :D It's again in my favorite color!!! That's so cute. :) I didn't know about the jumpers, but that's wonderful. I remember hearing about the sweater trick for penguins! It's so clever. Too cute! My 5 yr old LOVES everything penguin! I love the fact that someone figured out a way to save the penguins. And what cute pics you found. love penguins!! the first one is adorable! I had no idea that knitted jumpers could save penguins'lives. It's a simple and genius solution at the same time! Congratulations on your beautiful blog and thanks for featuring the sailor penguin. That's great they were able to save the penguins! Your finds are adorable! Thank you for your comforting words on our recent loss of Sadie. We appreciate it. How neat! I definitely didn't know that. Great picks. I agree with Ann that the top left one is my favorite. Very adorable! I followed the story of the penguin sweaters. Such a wonderful way to put our crafty skills to good use. I can't figure out which is my favorite! 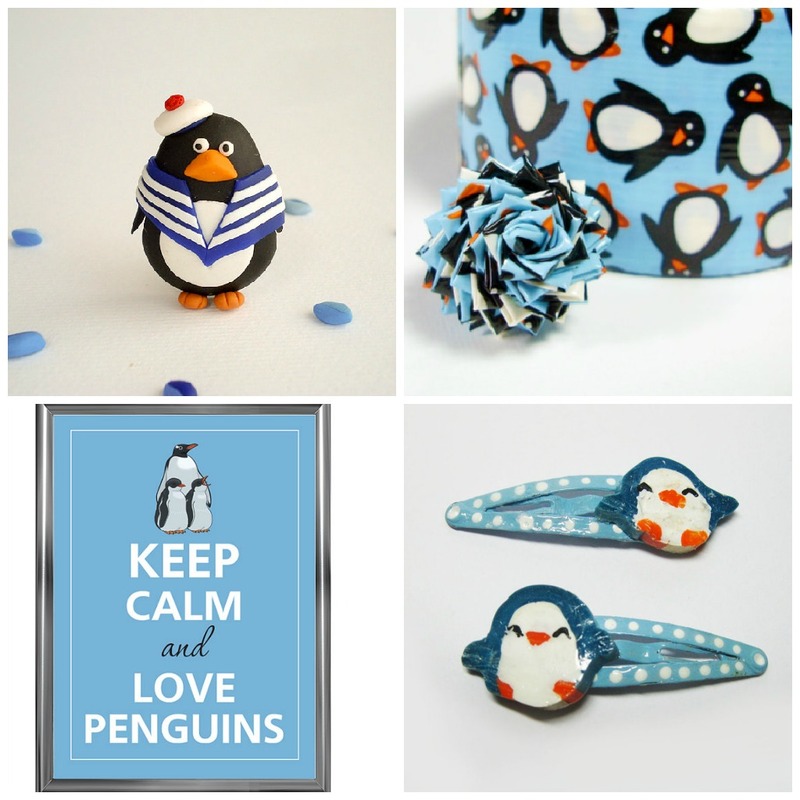 I love penguins, what great finds. ich höre das erste Mal davon. Großartig, ich werde mich gleich mal ein wenig schlauer machen. Pinguine sind so tolle Tiere und einfach total niedlich. Ich schicke Dir herzliche Grüße und ganz lieben Dank für Deine lieben Worte zur neuen Seite. I love penguins! We have some cuties at the Boston Aquarium that are so fun to go see. I had no idea, how amazing! I love penguins too!